First: the next Saturday Coffee Shop Ride is February 21. We'll depart from MB Haskett's 324 S Phillips Ave. February is one of the months where we don't wait for the last Saturday of the month. Second: the general expectations of the Saturday Coffee Shop Rides. Faster riders may find the speed of this ride a bit mentally challenging. Next: a photo of January's group. Other Next: remember if 10 miles seems a bit short then ride to the ride. All nine of January's riders did. Here's what us westsiders did. 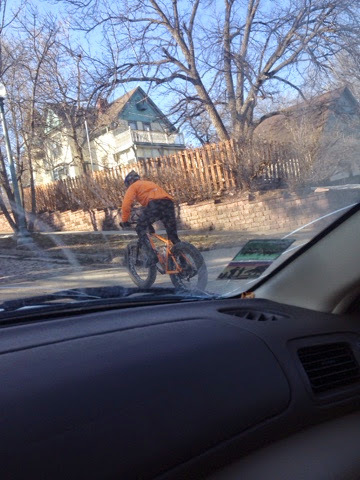 Final Next: somebody's been practicing studded tire fat bike track stands. 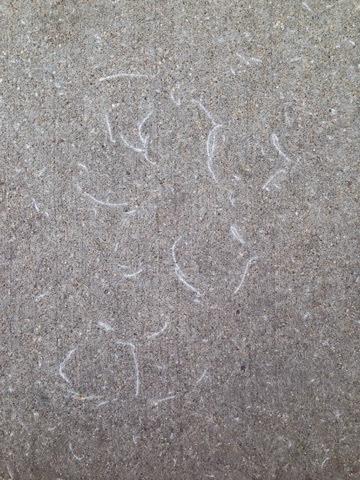 The whole driveway looks like this - which is actually pretty cool looking. Today while I was standing in the Minnehaha County Administration Building parking lot talking bikes with local riding legend Larry Hayes we observed an orange body on two wheels doing fat bike repeats on the 6th Street hill. Warning: he's already beating you. 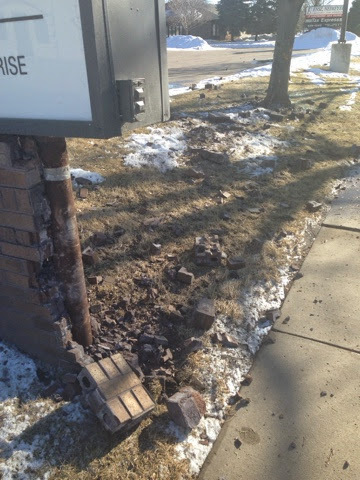 Why was I in the Minnehaha County Administration Building parking lot? It's because on 12/22 the Argus Leader printed this article. Coming soon, how journalism matters to advocacy and activism. May 23rd the Outdoor Campus is hosting a four hour "Need to Know" class. This class will be led by myself with Clint, Chris and Kurt. 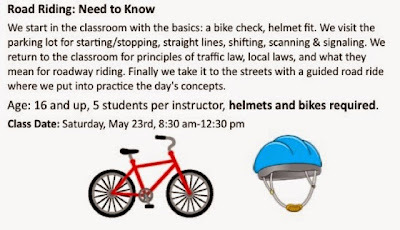 A bike education experience hosted by the State of South Dakota. Did you know, if you're going to teach safe cycling in this city your name must contain a hard 'c' sound, preferably at the beginning? Well South Dakota riders. Your House Transportation Committee has formed a sub-committee to look at all bicycles laws and try to align them so that they can figure out how to make safe passing a reality. The full committee expressed their desires for the sub-committee and many of them go far beyond the scope of a 3' passing bill. 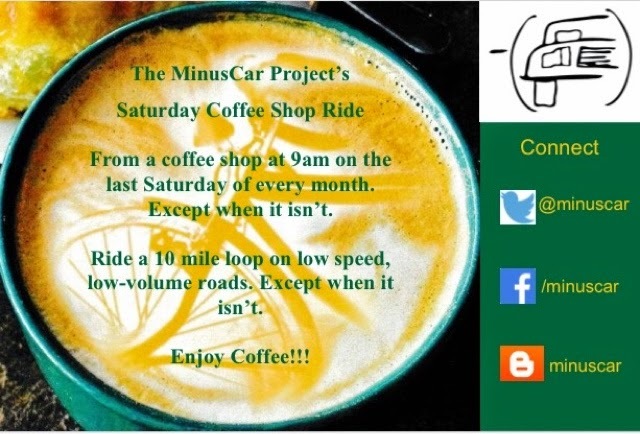 Here is a link to information about the general expectations of attending a Saturday Coffee Shop Ride. Here is a link to route information specific to this month's ride on January 31 @ 9am from Starbucks on 13th & Minnesota Ave. The route has been tested. We'll tour extensively in the area north of Russell and south of the Airport. We'll ride past the air base, we'll stop at an historical marker and review some history of the area, we'll note the progress of Badlands Pawn which should have freshly broken ground by that time. 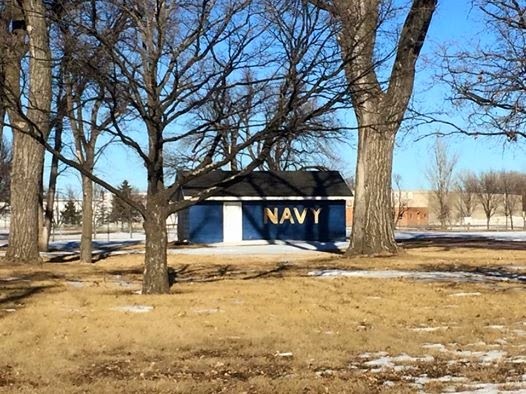 We'll also observe the lesser known South Dakota Navy Base. Come and join us on our Saturday Coffee Shop Ride, a very Americana edition. Today the House Transportation Committee considered HB1030 South Dakota's second attempt at passing a 3' Passing Bill for bicyclists. 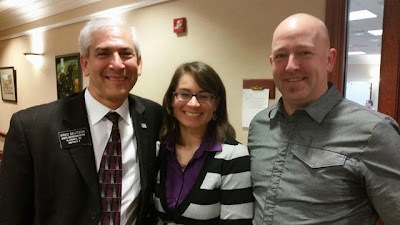 These are three of the very handsome folks who testified in favor of the bill. They are: Fred Deutsch freshman representative from District 04, Jessica Andrews from Chamberlain, & Chris Parsley from Sioux Falls. If you want to know the gritty details of what went down in room 413 you simply must listen to this audio recording. Start at minute 24 and listen until they stop talking about bicycles. You'll catch Fred's Freshman Fashion Faux Pas - no helmets allowed in committee and Chris, when asked about shoulder rumbles bothered to mention the seeming inability of South Dakota drivers to stay on the road - to widespread chuckles I might add. 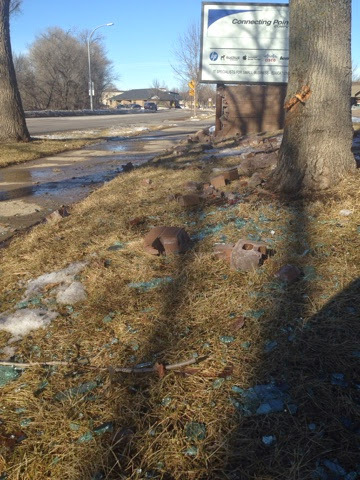 ...perhaps we should rumble Kiwanis Ave. That's glass, but I digress. Seriously South Dakota riders owe these three a very big debt of gratitude. They did very nice work for all of us. Seriously. I mean it. Chris and Jessica did this on their own time. There are some other folks heavily involved in the effort. DOT legal counsel Bill Nevin has been assigned the job by the DOT to present the bill. The American Heart Association of South Dakota has active transportation/healthly lifestyles on their advocacy agenda therefore they've done great work in support of this bill. The broad strokes...District 09 Rep Steve Hickey moved an amendment to include the important word "minimum" to modify the required 3 feet. The amendment passed. Then the questions of obfuscation rolled in. The main concerns seemed to be about the possibility that existing laws already meet the goal of a 3' passing law and the question of whether riders already pay enough to be allowed on the roads in the first place. Rounds moved to pass the bill with a second from Hickey. A substitute motion from Stalzer/Kaiser to defer the bill to Tuesday 1/27 prevailed. In our estimation there are 2 strong opponents and 3 strong proponents of this bill. That leaves 8 on the fence. These folks will be talking about this bill between now and Tuesday. Quick notes to all the committee members, yes again, are important. The page to do that from is here. ...and come back here Tuesday. HB 1030 - the 3' Passing Bill - is up for discussion in the Transportation Committee during it's Thursday 10am meeting. I wonder which South Dakota riders will go to Pierre and stand for all South Dakota cyclists and say, "Please pass this bill. There are people injured and killed and the awareness through this laws will save lives." 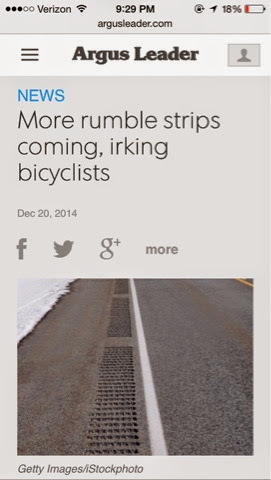 Readers should understand the message that is sent by the absence of a cyclist. Hey Black Hills. Raise your hand if you contacted your friend from Hill City, the chair of the committee. I understand he's a tough one. Also, HB1032 - the one that protects pedestrians is also on the agenda. The next Saturday Coffee Shop Ride will be January 31. It will depart from Starbucks on 14th and Minnesota Ave. We'll explore the happy little industrial complex hidden away north of Russell Ave and south of the airport. Remember the ride leaves at 9am. The loop is always just about 10 miles. We'll enjoy coffee after. It’s officially official. 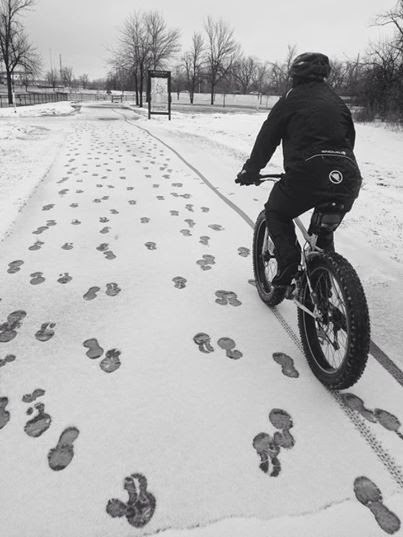 HB 1030 is a bicycle related bill that will work its way through the South Dakota Legislature this winter. Riders will want to pay attention to this bill. When laws are scrutinized anything can happen to them. Additions, deletions, omissions. 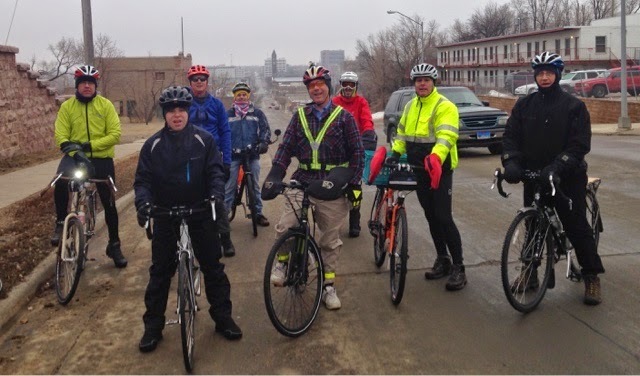 The last time a bicycle bill was in the legislature South Dakota was close to becoming the first state in the union to legislate cyclist wardrobe – and that was on a 3 foot passing bill. This year HB 1030 is mostly a 3 foot passing bill. Notably this bill seems to have originated with the Department of Transportation. My sense is a change to law recommended by state staff is more likely to be successful. I’m pretty ok with adding this into law. I do recommend adding the word MINIMUM in the sentence “shall allow a three foot separation.” Many riders say 3 feet isn’t enough and adding this word implies more is better. A person operating a bicycle shall give a continuous signal of intention to turn right or left during the last one hundred feet traveled by the bicycle before turning. The signal shall also be given while the bicycle is stopped waiting to turn. A signal by hand and arm need only be given intermittently if the hand is needed in the control operation of the bicycle. No driver of a bicycle may overtake another vehicle on the right if the overtaken vehicle is signaling to make a right turn. I am always happy to point out the most dangerous place to ride is to the right of a right turning vehicle. How do you know vehicle is turning right? You don’t. This amendment would make it illegal to ride to the right of a right turn signaling vehicle. I say don’t ride to the right of any vehicle. I’m neutral on this amendment while pointing out my personal standards are more strict than this amendment would require. So write your state representatives. Get them early. They don’t start real work till Monday. Tell them this weekend what you think of HB 1030. Surprise them by showing them you care.